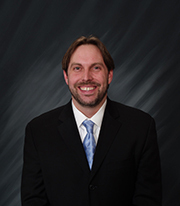 Mr. Weston has been practicing law since his admission to the Michigan Bar in 2006. He began his career with a firm specializing in all aspects of civil litigation focusing primarily on the defense of claims against businesses, churches, general contractors and manufacturers. In 2008, Mr. Weston started his own law practice in Bloomfield Hills, Michigan focusing on estate planning, probate, and corporate matters. Trevor joined the firm of Fedor, Camargo & Weston PLC in 2011. His focus has been primarily on estate planning, probate and estate administration and the general litigation needs of the firm’s clients. As a former teacher, he enjoys working with individuals and families in the local communities, getting to know them personally and educating them as to the decisions they need to make to create estate plans that fit their needs. Trevor is admitted to practice in all Michigan State Courts, the Federal District Court for the Eastern District of Michigan, as well as the Sixth Circuit Court of Appeals. Trevor is a member of the State Bar of Michigan, Oakland County Bar Association, the Federal Bar Association for the Eastern District of Michigan, and Michigan Defense Trial Counsel, as well as the Estate Planning Sections of the State Bar of Michigan and Oakland County Bar Association. He is also a member of the Royal Oak Optimist Club. Trevor has published articles in the Michigan Defense Quarterly and sits on the Construction Code Board of Appeals and Historical Commission for the City of Royal Oak.